We are starting our Winter Growers Market at the Josephine County Fairgrounds November 3, 2018 until March 9, 2019. We are a year round growers market for local farmers, crafters and food items. The outdoor Growers Market season at 4th and F. St. begins March 16, 2019 to October 26, 2019. 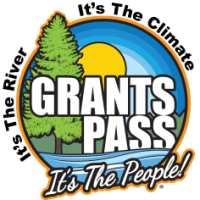 © Copyright 2019 Grants Pass & Josephine County Chamber of Commerce. All Rights Reserved. Site provided by GrowthZone - powered by ChamberMaster software.